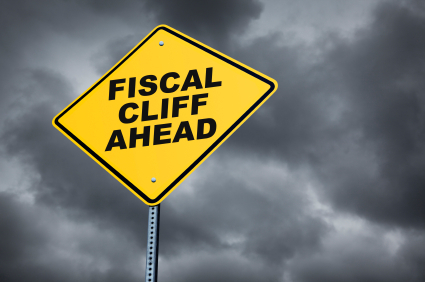 Is it Time For Republicans to Give Up the Fight over the Fiscal Cliff? In the 5 weeks since the re-election of Barack Obama as president, there has been an astonishing resurgence in the president's popularity among the American people. Since election day, when Obama's general popularity numbers were hovering around 50% in the polls, these numbers have now soared to 55% and have been as high as 58% in Rasmussen's recent polls of presidential popularity. Moreover, Rasmussen's presidential index, which measures those that strongly disapprove of the president's performance versus those who strongly approve has gone from a low of -23 two months ago to a high for Obama of -1. It should be clear from the election results that large numbers of Americans now approve of the president's position on the fiscal cliff and these same numbers strongly disapprove of John Boehner's and the Republican's position on this critical issue. Raise taxes on the most successful Americans (Not the rich, but hard working higher wage earners and small business owners). Maintain lower tax rates for middle class Americans (for now). Provide no spending cuts whatsoever and continue to claim that the cuts agreed to in 2011 are sufficient. Increase spending on new government giveaway and bailout programs with the new revenues from higher taxes. Give the president complete authority over the debt ceiling so he can raise the ceiling whenever federal spending requires it. Show no concern for the increasing federal debt or national deficits in excess of $1 Trillion for the foreseeable future. Incredibly, a majority of the American people support the president's position and are blaming the Republicans for being so recalcitrant in not coming to an immediate agreement with the president. That is clearly shown by the recent Rasmussen generic congressional ballot poll among likely voters which has the Democrats now leading that ballot by 10 percentage points. This poll clearly shows that if a Congressional election were to be held today, the Republicans would lose about 50 to 60 House seats. Americans re-elected president Obama and now all of his supporters and many of his former opponents feel that he should be given the opportunity to execute the program on which he ran. Most Americans have no real understanding of the fiscal issues involved with massive debts and unsustainable entitlement programs. A majority of Americans are now somewhat dependent or totally dependent on government handouts and will not tolerate changes or reductions in any of these programs. America has been changing demographically for many years, with lower income minorities continuing to grow in population by high birth rates and excessive immigration while the birth rate for the white population continues to diminish at an alarming rate. The net result is that the minority population along with poor whites now dominate the political strength and discourse in America. Why did the Republicans Win the House in November? We should clear up the fiction that since Obama won the presidency and Republicans won the House therefore Republicans should have an equal shot at setting the terms for a fiscal cliff agreement. Nothing could be further from the truth. Most voters have little or no idea who the down ballot candidates are in any election. Most of them know the basics about the presidential candidates, something about the gubernatorial and senate candidates and practically nothing about down ballot candidates. The result usually is that most voters just vote their party or the party of the person who gets their vote for president or governor. Republicans won the House because some voters were familiar with their current Republican congressman and through name recognition were willing to split their votes between their presidential vote and the House member from their district. In addition, there is some gerrymandering that goes on in House districts and it is fair to say that most Republicans win their rural districts by smaller margins than Democrats win their urban districts. These two factors were largely responsible for a slim majority for House Republicans. The current small Republican House majority certainly doesn't mean that there is any great support for the current House Republican position that federal spending cuts must accompany any tax increases. What Should the House Republicans do About the Fiscal Cliff? Currently, the Republican position on the fiscal cliff is losing in the public polls by at least 60 to 40. Republicans are in an extremely bad position and it gets worse every time Speaker John Boehner gets before a microphone and attempts to justify the Republican position of spending cuts, entitlement cuts and no rate increases for the top wage earners. Boehner keeps up this no tax increase mantra by claiming that he is concerned about more job losses if we increase tax rates on what he calls "the small business job creators". Regardless of whether Boehner is right or wrong, the public is not buying his discourse. Adding to that problem is that Boehner comes across as an angry and mean politician who is attempting to protect the "rich" in America at the expense of the poor and downtrodden. We don't need Boehner out there every day pleading with the president to "please negotiate with me" when the president has no need to negotiate. Do nothing! Leave the current Republican offer on the table and wait around for the president to come forward with something that Republicans can accept. Provide a smaller tax increase than Obama wants on high wage earners. Add in a few caps to tax deductions for very high wage earners. Put nothing in the bill about the debt ceiling. 5. At the eleventh hour, pass the above House bill and send it to the Senate to deal with. If it passes the Senate, the president would be in a difficult position if he didn't sign a bill that gave him essentially what he asked for, without necessarily the exact figure for tax increases. Essentially, Republicans have lost the battle with the current electorate. It seems to me that when you have lost a war, it's time to stop talking, stop fighting and to figure out how to regroup. Republicans, and especially House Republicans, need to understand that they lost the election. The right thing to do now is to stop talking, pass a minimal bill acknowledging that the Democrats did win the election, and move on to fight the next battles which will be coming up shortly. The 2014 elections are not that far away, and Republicans are in great danger of losing the House this time and possibly losing even more Senate seats. Republicans also need to plan for the upcoming elections in Virginia and New Jersey n 2013. Republican losses in these elections will foreshadow major losses in 2014 just as the Virginia and New Jersey elections in 2009 led the way to big Republican gains in 2010. Let's not throw away our chances for holding on to what we have in 2013 and 2014.